The DL Series horizontal pushbutton switch is available in piggyback style and multiple mounting options, including interlocked/ganged option. 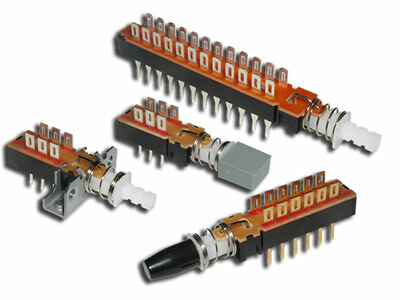 Ranging from DPDT up to 10PDT, this double throw switch offers both momentary and latching options. 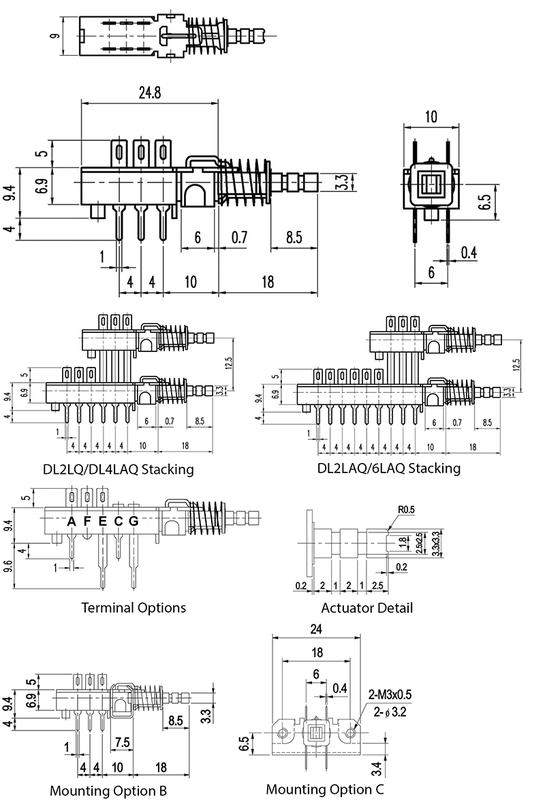 Actuation Force ranges from 350gF up to 650gF. Over ten cap options are available in white, black, red, light gray and dark gray, along with custom color options.